I have planned to move specific topics from a more general blog into more specific blogs. Still riding on the Thesis framework for my blogs, I have recently switched from Classic Responsive theme to the Pearsonified theme for some of the newer blogs that I have started. 1. I created a new blog http://organize.yinteing.com/ to publish blog posts related to organization, cleaning and storage (moving them out from the mother blog of life.yinteing.com). 2. Some articles related to Organization were being transferred the new blog via 301 redirects using Thesis wordpress theme. While I do agree to keep a multi topic blog, I feel the topics at least need to be a little relevant. 3. In the new blog, I decided to switch to Pearsonified skin. The theme comes free with developer package. I downloaded the theme from my account at DIYthemes and then upload at Dashboard> Thesis> Manage Skin> Add Skin. 4. I quite like the look of the new theme- it is clean with no borders. So I decided to do the same for some of my blogs where I changed from Classic theme to Pearsonified theme skin. 1. The customized sidebar and pages would not be transferred to the new skin. Basically your sidebar widget would be blank and you need to reconfigure again. What I did was prior to switching skins, I open the widgets of the old skin and kept the page. When I switched to Pearsonified skin, I copied the contents of the widgets over to the new skin. By now, I am quite used to creating custom pages using the Thesis Skin Editor/ canvas. As I am also familiar with the layout of each page, from the skin editor I created the custom pages and custom widgets. Then using Appearance> Widgets, I create the custom sidebars. 3. Re-assigning the custom pages for all my blog posts again. I have hundreds of posts for this blog. Can’t image how a person with thousands or tens of thousands of posts would be if many of the posts come with custom pages. However, the reason why I went through with this exercise is because I wanted to clean up and cull off old irrelevant content. I took this as an opportunity to remove irrelevant blog posts. 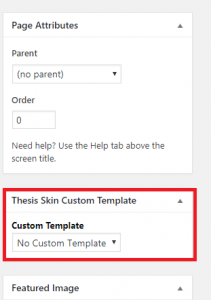 Once you understand how the Thesis framework operates, there should not be a long learning curve when you switch the skins. If your blog does not contain lots of custom pages, then the skin change would not have much impact except you need to rebuild your sidebars, change the colour settings, get the header selected again. However if you have a lot of custom pages built using a particular skin, then when you switch skins, you would lose the customizations that you have done. I believe this scenario does not apply only to Thesis themes but any theme/child theme that you use to create your custom pages. 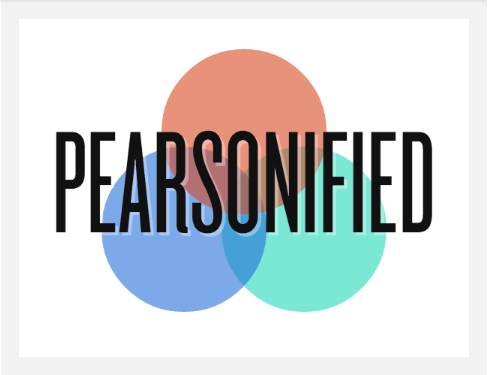 I have also switched to Pearsonified skin for my Creative Blog yesterday ….which I could have the site set up under 30 minutes because I do not have custom pages on that blog. Before I switched the skin, I just opened my widget under the old skin so that I can copy over sidebar content of the old skin to the new skin.